All new rooms in 2007, including micro fridge, coffee maker and 32 inch flat screen HD TV with 3 HBO channels After spending the day enjoying the local attractions, relax in our quiet location, complete with sparkling outdoor pool. Ample secure, free parking, including space for oversize vehicles. 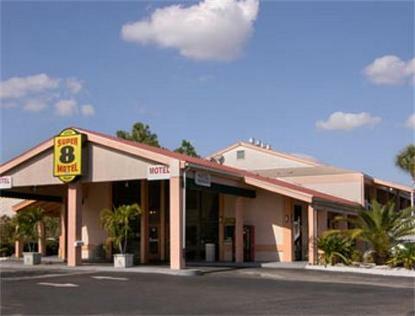 Closest Super 8 Motel to the Disney Parks, a short 5 minute drive away (or local bus to the park, one dollar each way, stops in front of motel) Located in the heart of Kissimmees entertainment, dining, and shopping district (Hwy 192, just west of mile marker 9) Make us your home away from home while enjoying all that the Orlando area has to offer.